Preliminary listing subject to owner's approvalSummer Dreamis like brand new, a pristine example of the Hans Christian Explorer.The design is the ninth design in Chuck Paine's acclaimed Bermuda series in collaboration with Tony Seibert, the lead designer for the Hylas 49.Truly a yacht conceived, engineered and constructed for serious offshore passage-making and extended living aboard.She is large enough to take you anywhere in the world in comfort and safety, and small enough to be handled easily by a couple in their later years.The Hans Christian Offshore Explorer was designed as a rugged, blue water sailboat fully capable of circumnavigating the world while offering luxury and comfort that can be appreciated out at sea or on a coastal cruise.She has a shoal draft of 6' and is one of the highest performance cruising sailboats ever built.She thrives in big seas and will cruise at 8 to 10 knots in almost any sea state.Summer Dream features the three stateroom, two head layout with top quality construction. This ideal, bluewater passage maker has a bow thruster.She has watertight bow and stern areas with reinforced Kevlar and E-glass. 2/3 skeg hung “sacrificial” rudder, oversized standing rigging.There are deck lockers that you can really store items in, a 75hp Yanmar with low hours, Xantrex 1800 watt inverter, 180 gallons of fuel, and 270 gallons of water.She is low maintenance above deck with exquisite joinery below - a rare high quality vessel. A personal inspection is highly recommended. United Yacht Sales New Jersey would love to guide you through a personal showing of this 48' Hans Christian Explorer Hallmark 4870 2011. 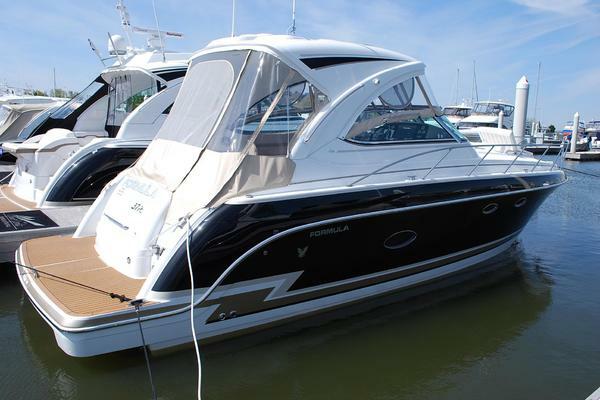 This yacht for sale is located in Ft Lauderdale United States and priced at $396,000. For a showing please contact us by filling out the form on this page and we will get back to you shortly! This is a three stateroom layout with large forward guest stateroom, second guest stateroom to port and head and shower to starboard. Next aft is the main saloon with fixed table and wrap around seating for eight. The fore and aft settee is onstarboard. Galley is down to port, navigation is forward facing to starboard. Double walk through with starboard separate shower area. Large master stateroom aft with centerline queen berth. Beautifully designed by Hans Christian with solid teak stathing. The forward stateroom with V berth and en suite head is a truly luxurious guest room with two large hatches,four operable ports and cowl vent for excellent ventilation. It includes a bureau, hanging locker and settee. The port cabin features an oversized sliding door as well as a passageway sliding door opposite the mast that, when closed, provides complete privacy between the head and port cabin. It has a large hatch, two operable ports, and a cowl vent for ventilation. The bunkboard slides out to make a berth 6' 8" in length. The aft master stateroom with 6'4" headroom, two hatches, two operable ports, and two cowl vents, together with its queen berth, vanity, tall hanging locker,drawers, and storage bins is an exquisitely comfortable master stateroom. There is an en suite head with separate shower stall. The Explorers' center cockpit is designed with the helm further aft and accommodates better visibility, safety ( a full 12' between the helmsman and following seas), and less motion - all good choices for offshore cruising. The cockpit is huge, but the actual well is small. Two transverse walk through steps in the coaming insure that when waves come aboard only 26 cu ft of water will stay in the well. Two 1 1/2" diameter hoses quickly drain the cockpit. The cockpit benches are more than 7' long, 20" wide and have 15" tall raked seat backs with built in lumbar support. The cockpit will seat nine, sleep two. The sugar scoop transom/ swim platform is alsogreat for dinghy boarding. Liveaboards will love the fact that they can stack ten grocery bags on board before they even leave the dinghy. An integrated locker provides bonus storage. The swim ladder reaches 3' below the water. A hot and cold transom shower makes the platform a luxurious experience. Grab rails extend the entire length of the steps and are easily reached from the water. The swim platform is a delightful base for warm water play and socializing.